With party packages to fit most sizes and budgets, Zero Gravity is the perfect place to throw a birthday party in Minneapolis. All parties include pizza, drinks, cupcakes, Zero Gravity jump socks, paper products and a Zero Gravity t-shirt for the guest of honor. Also, don’t forget to have the birthday boy or girl step up and spin our special prize wheel where they can win anything from a hat to a free Ultimate pass!! Special arcade token deals (for parties only), as well as party bags, are available for purchase. 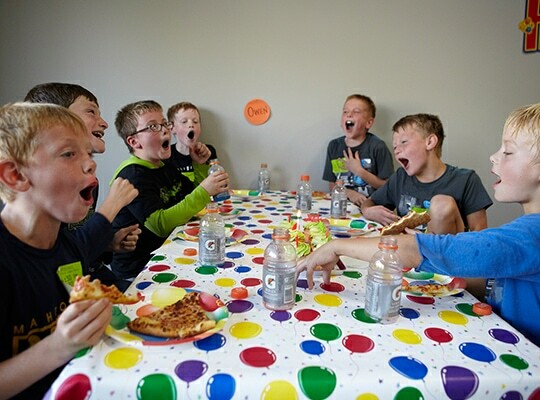 We do all the setup and clean up, so you can enjoy a stress-free birthday party at Zero Gravity! Elevate the way you celebrate, with a party at Zero Gravity Trampoline Park. The perfect family friendly and group venue for a birthday party, a Sweet 16 or any other celebration, our parks have packages for a fun and active event. Remember you are never too old to play dodgeball or laser tag. We have all kinds of activities for the kids to engage in on their special day. No matter what the birthday boy or girl wants to do, there is something here for everybody. We take the hassle out of planning a party and provide you with customizable party options to fit your needs and ensure that your party or event is the most memorable one ever. Zero Gravity Trampoline Park in the Twin Cities is the perfect place for stress-free, indoor birthday parties for boys, girls, kids, and teens – anyone can have a blast here! More than just a trampoline park, Zero Gravity is a unique indoor adventure park with something fun for everyone. 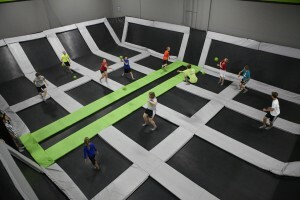 Have you ever played dodgeball on a trampoline court before? Probably not, but you can do it here. All the kids will need to learn how to play dodgeball here, which involves throwing a ball toward the other team. If you are hit with a ball, then you are out. Headshots are not allowed, and you cannot cross the green line. Even if the kids played dodgeball in P.E., they need to experience the sport like this. The trampoline foam pit is suitable for children of all ages. The kids can flip, spin and jump off the trampoline into a safe foam pit. Even the parents can get in on the action. Kids at the party can try to get the highest score on Treasure Quest, Frogger, Big Bass and more. 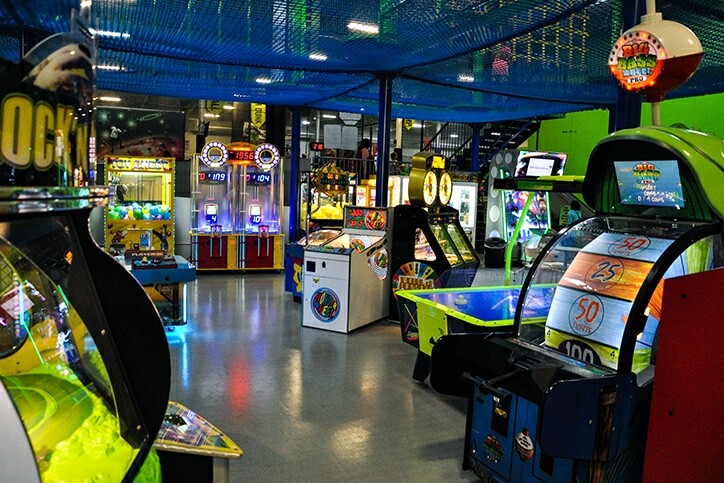 Kids will get hours of fun out of classic arcade games, including air hockey, skeeball, and basketball. There are even games that will give out tickets, and the kids can redeem those tickets for fabulous prizes. Zero Gravity Trampoline Park has a 3,000 square foot space dedicated for laser tag. It has an intergalactic theme, and anyone over the age of 5 can enjoy it. There is plenty of space to hide out until it is your time to strike. Kids will also get a kick out of the indoor rock climbing wall. The best part of this is that you do not need any special gear because the wall is located directly over a foam pit. If someone falls off the wall, they will land comfortably on the foam cubes. Kids will love climbing all the wall to the top and then falling comfortably to the floor. Zero Gravity Trampoline Park also has a ninja obstacle course and a tot spot for children who are a bit younger. Contact us today to find out more about our birthday party packages.